Oooh, Barbara - this looks and smells sooo delicious! Definitely need to give it a try. I made my variation for Valentine's Day! So delish! Thank you for sharing yours! 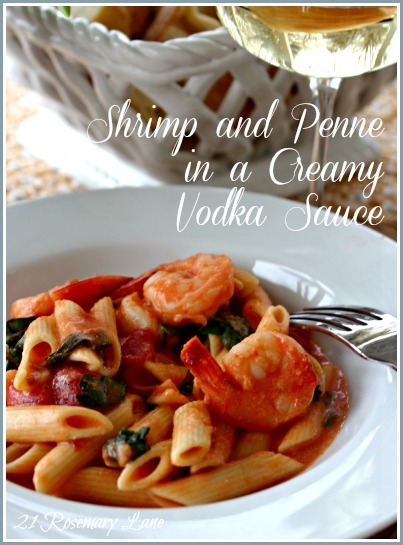 Barbara I made vodka sauce last night too, I just didn't add the shrimp... next time I will!! Oh, Barbara! This is just super yummy! Bobby and I went out to dinner tonight and I am still hungry. I can almost taste your penne. Thanks for sharing at ON THE MENU MONDAY! This looks yummy! Please share your dish at Weekend Kitchen Creations, www.weekendkitchencreations.blogspot.com. Join us, share your delicious creation and get other scrumptious ideas. Hi Barbara! I wanted to thank you for sharing your recipe at the Rock 'N Share today! 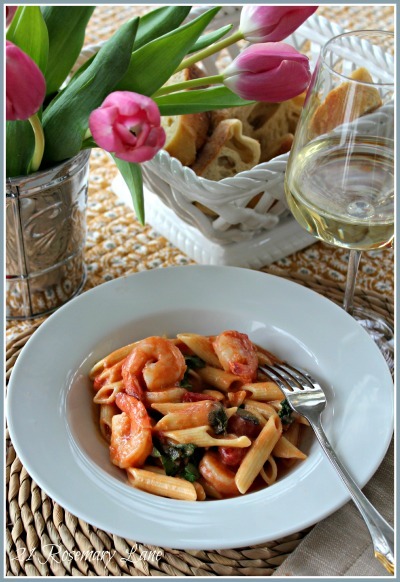 You always have great pics and we love pasta at our house and this looks delicious! I pinned your recipe to my Pasta board. I hope I'll see you again at the Rock 'N Share! This recipe sounds like a keeper! I can almost smell the garlic simmering in the tomatoes. Thanks for sharing.